Obituary for Beverly J. Liggens-Houser | L.E. Black, Phillips & Holden Funeral Home Inc.
Services will be 12:00 noon Friday, February 8, 2019 at the L. E. Black, Phillips and Holden Funeral Home for Mrs. Beverly Juanita Liggens-Houser, 51, of Youngstown, who entered eternal rest on Saturday, January 26, 2019 at Mercy Health St. Elizabeth Health Center – Boardman. Mrs. Houser was born November 19, 1967 in Youngstown, a daughter of James and Phyllis Mae Boyd Liggens. She was a 1986 graduate of The Rayen School and received her BA degree in Social Work and her Masters Degree in Counseling from UC Davis in Stockton, CA. Beverly was a self-employed counselor and director of Mama Rose House of Enpowerment. She was a former member of Holy Bible C.O.G. in Youngstown and Power and Praise Ministry in Deltona, Florida where she was a dynamic gospel singer. She was also a member of the NAACP. She leaves to mourn her passing, but to rejoice in her eternal peace, her parents; four daughters, Shaun Houser of California, Keyana Houser and Katrina Houser both of Youngstown, Nikkita Barlow, Las Vegas Nevada; sister, Fayenel Wallace of California; two brothers, Kevin (Wanda) Meadows of Florida and Ernest D. Meadows of Germany; six grandchildren; godparents; Juanita Sharper, Beverly Fortune,and a host of family and friends. 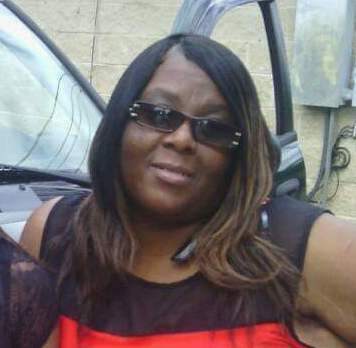 She was preceded in death by her daughter, Ta Leshia Stuckey.